NWA Health Solutions is excited to announce the addition of Dr. Duane Paterson to our clinic! Along with being a chiropractor, he is also a Certified Performance Specialist through the National Academy of Sports Medicine, and a Certified Functional Movement Evaluator. Dr. Paterson specializes in analyzing movement patterns and muscle imbalances and correcting them and the problems they create, with chiropractic, therapeutic exercise, mobility training, spinal stabilization, nutritional support, and physiotherapy modalities in order for his patients to be physically capable and pain free and healthy now and well into their senior years. Dr. Paterson has completed extensive post-graduate course work – to see his full listing, click here. Born in Alberta, Canada and growing up on a farm, Arkansas feels right at home now for Dr. Paterson. Upon graduating high school, he worked in various capacities in the construction industry when he suffered a debilitating neck and low back injury. It was after he visited a chiropractor for this injury that he decided to become one himself. 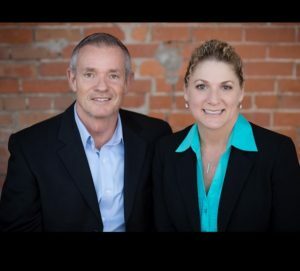 He graduated from Palmer College of Chiropractic West in San Jose California in 1992 and practiced for the next 24 years in the Sacramento area. His wife Julie works for Wal-Mart and was relocated here in early 2017. Dr. Paterson is now licensed in the state of Arkansas and will be practicing with Dr. Josh and Dr. Sarah Rowden at NWA Health Solutions. On a personal note, he loves water sports and was involved in water ski racing (a boat race with a skier hanging on) for many years. He won the 1997 and 1998 National Championships in the out board division. He’s an NRA Certified Hand Gun Instructor and Range Safety Officer, and used to teach at Front Sight Firearms Academy, the largest firearm training academy just outside of Las Vegas. He entered his first Natural Body Building contest through the INBA and won his age class, Novice and 3rd in the overall. For five years he was also the Strength and Conditioning Coach and Team Doctor for a local high school senior men’s basketball team.